Let’s be honest, at some point in our lives, whether in person or in our living room, we’ve yelled at or about a referee. This week, I have a newly-minted lacrosse referee Matt Noonan to talk about why he got into it and what his experience has been like so far. After almost a week of games, it is no surprise that today’s High School Stat Leader update is massive. 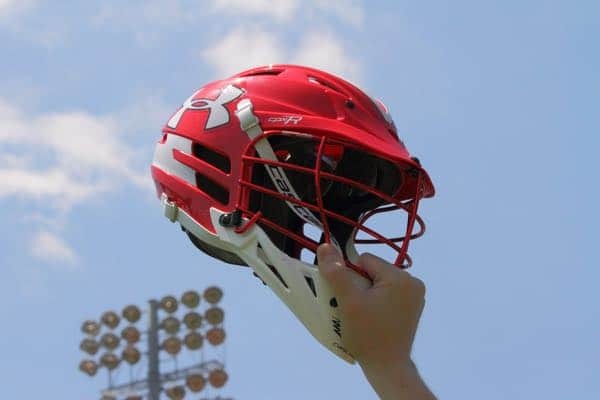 The NCAA voted Friday to accept Proposal 2018-93, which would allow coaches to contact recruits on June 15 after their sophomore year, but also adopted an amendment to exclude lacrosse. On This Week in Lacrosse, Gavin Tygh from Penn Charter sets the national faceoff record, Troy Kemp steps down at McCallie School (Tenn.), a bird halts play in California, players who hit milestones and plays of the week! A huge update today as 136 entries are made in the 2019 High School Stat Leaders. Tanner Pohl from The First Academy (Fla.) and Nick Whittall from Murrieta Mesa (Calif.) leads the way with 14 points each in the last week. There are three faceoff men who went perfect from the X and Bill Bernal from Pennington has two entries of 27 saves. The first Northeast Region notebook of the year catches up on a few weeks worth of news and features several program records and a few players to watch. This week there are a number of player and coach milestones around the country. From a pair of Kentucky players to a Georgia player reaching 400 points, this was a week to remember.